San Diego Dynasty, an Empire Paintball team, has won the NPPL 2011 Chicago Open paintball tournament. This is the 4th event in a row that Dynasty has won since the start of the 2011 paintball season. Paintball players and fans across the world have been discussing the return of Dynasty and the possibilities of a 4th Triple Crown Championship. 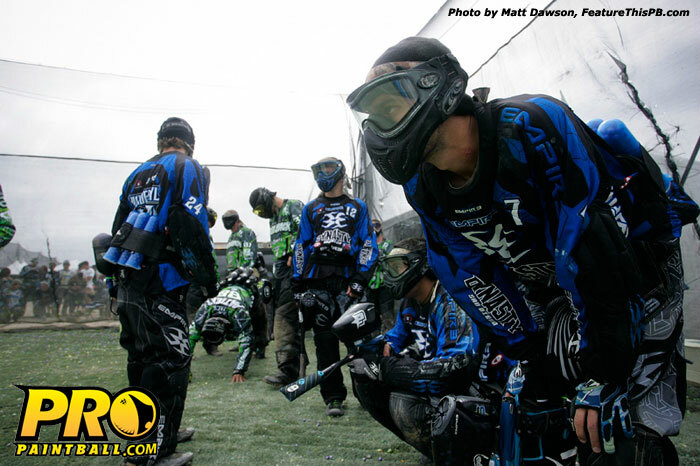 During the 2010 off season, Dynasty manager Eric Crandall and Coach Mike Hinman augmented one of the top rosters in paintball with Dalton Vanderbyl, Alex Goldman, and Oliver Lang. The result has been a seemingly unstoppable team and a Triple Crown Championship appears to be a distinct possibility. The Chicago Open pro division’s final four was notable in that it was the first time we have seen St. Louis Avalanche and Portland Uprising on the podium. St. Louis Avalanche started the year off on a somber note, finishing 11th place. Between HB and Chicago, the team saw AJ Trillet leave to Chicago Legend and Justin Schwarz joined Avalanche from Arsenal. The new kids on the block, Portland Uprising, finished the event in 3rd place. Uprising started the season at NPPL 2011 Surf City Open and finished in dead last. During the break between events Uprising brushed off the paint and decided to step up their game. The team picked up Cole Scott from Vancouver Vendetta and practiced like mad men to improve their lackluster performance at Event 1. In forth place was Edmonton Impact. Impact has a championship roster and many paintball fans expected to watch the team unseat Dynasty in the finals. No strangers to the podium, Impact posted a 3rd place finish at Event 1 and ProPaintball expects the team will be bringing the heat in the events to come.